When it comes to music festivals, we all know there's nothing worse than partying hard all day then not knowing where to go for a feed that night. 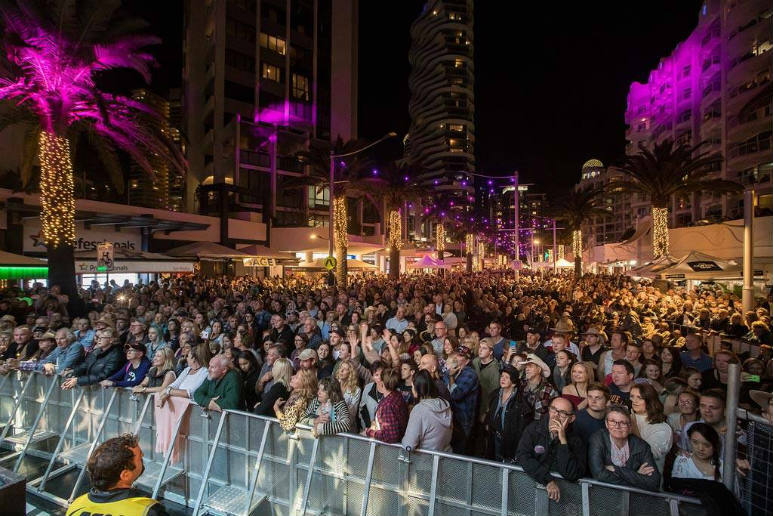 With the Coast's biggest local music fest coming up this weekend, Broadbeach is ready to welcome in thousands of hungry people. Whether you're a local looking for somewhere new to try or just visiting for the weekend, we've made the experience a little bit easier for you, with six of the best places to grab a feed during Groundwater! Sometimes it's not very easy to find a good feed that won't break the bank, but the staff at 1two3 have got you covered! Right off Surf Parade and just a stones throw from all of the action at Groundwater, 1two3 has the something to cure your cravings no matter what time of day. Pick from fruit salad, Big Brekky's or Eggs Bennie for breakfast, seafood, sandwiches or spaghetti for lunch and a huge range of starters, share plates, steak and spaghetti for dinner. If you're still feeling peckish after all of that, you can't go past their Brownie, Passionfruit Cheesecake or Sticky Date Pudding - Why not go all three! Is there anything better after a long day of partying that a good Burger feed? I didn't think so. The vision behind Main Street Burger Bar is simple - Bewildering burgers, boutique brews, super shakes and soda all under one roof! Sitting right in the middle of the Oasis Centre (so close enough to the action that you can still see everything), indulge in Spicy Chicken, Grass Fed Beef or Ramen Tofu Burgers, and finish off your day with one of their delicious Sundae's! If you're feeling thirsty, combine your burger with beer, wine, or one of their signature cocktails... It's a match made in Heaven! We all know a music festival isn't complete without an ice cold beer, and the folks at The Loose Moose are down to deliver. Right underneath the Sofitel and open from 7am until late during the weekend, The Loose Moose has all of your festival needs covered, with Burgers, Bennies, Buffalo Wings and plenty of cold beer on tap! They've even got the perfect hangover cure for those post-festival mornings - With double-smoked sausage, jack cheese, caramelised onion and three different sauces, you'll be ready to party all night long! The Coast is full of incredible places to stop for breakfast, but when it comes to Broadbeach Elk Espresso is one of the best. Open from 6am and right opposite Kurrawa Park, Elk is busy right from the start, serving up specialty coffee and boutique breakfasts all morning long. Indulge in French Toast, Waffles or their ever popular Poached Eggs and Hollandaise for breakfast, or drop by mid-Festival and try their Calamari, Crispy Chicken or Byron Bay Pork. Right in the centre of all the action, you won't even have to miss a song to get your morning coffee! Casual by day and sophisticated by night - If you've got a foodie bucket list, Koi should be on it. Right around the corner from the Oasis Centre, Koi is the perfect combination of classy and casual, complete with wooden furnishings and firey lighting that makes it seem like you've stepped straight into a campfire. Open for breakfast, lunch and dinner, start your day off well with one of their six Benny options, or duck in between songs for your choice of spaghetti, snitzel or their signature sirloin. If you're looking for something a little fancier, switch your dancing shoes for a pair of heels and book for dinner too! Established in 1989, Mario's Italian is a Broadbeach icon - And right in the heart of the action, it's the perfect place for a mid-festival feed! Specialising in authentic Italian Pizza, Pasta and Parmigiana, as well as a range of mouthwatering seafood options, you'll struggle to find something you don't like here, with an option available for just about anyone. Open from midday until late with plenty of indoor and outdoor seating, you'll be able to enjoy Groundwater from your chair - But make sure you book a table first!